Rules or Guardrails: Do Physicians Ignore Practice Guidelines? Heart failure results when the heart is overburdened, for a variety of reasons, and blood flow stagnates causing a mixture of symptoms, like swollen legs or shortness of breath. It is a medical problem for many individuals and research has identified strong evidence that specific drugs can reduce symptoms, hospitalization and extend life. There are explicit guidelines, almost cookbook recipes, for patient management by all the appropriate professional societies. You would expect that data-driven physicians would be very adherent with this standardized care plan, you would be disappointed. A prospective, observational, nonrandomized study of patients with heart failure may provide some insight into why, guideline-directed medical therapy (GDMT), a new acronym, has not been as successful as hoped. The study looked at about 3,500 patients collecting the usual demographics as well as their medications. Patients were categorized based on whether they were receiving GDMT medications  and whether their dosages were lower than, within, or above appropriate values. Absolute contraindications  to medications was low, at most 1.8% for a three-drug combination. Adherence to the protocols varied but never was more than 70% for any of the combinations. Dosages were higher than those recommended approximately 20% of the time. The study may not have identified all the absolute contraindications or dosages that resulted in sub-optimal patient responses and were subsequently adjusted. Studies of heart failure patients indicate that it is not a failure to follow up and monitor the efficacy of treatment that keeps physicians from strictly adhering to the guidelines. Those studies have suggested the presence of a judgment bias, the “risk-treatment paradox,” among physicians – where the patients at greatest risk often receive less appropriate therapy. The real world explanation is that physicians are often fearful of tinkering with patients that are more frail, “if it is not broke, don’t fix it” captures the concept. Do physicians go with the dogma or their gut? Some of this tentative use of GDMT may be based on experience; the cardiologists were more frequently adherent to the guidelines than primary care or internal medicine physicians who see fewer of these patients. Few studies show that nudges of prescriber behavior, economically or by quality metrics, will solve the problem. The accompanying editorial suggests that the findings are due to "clinical inertia," physicians do what they are used to doing, bemoaning the real-world clinicians who do not achieve the “critical and recommended” doses of the clinical trials. The editorial does note that education of patients, physicians, and payers might help, but we have been doing this for some time – so either it is the wrong message, or it is not being delivered. I would suggest that it is different in the real world and while we should redouble our efforts to achieve the same protocols and results as clinical trials some of the discrepancy seen in the study reflects local differences. More specifically, patients who do not fit the guideline's categories, the round pegs for the square holes; and the subsequent physician judgment of what will be best for the patient in front of me. Being a physician is different than being a provider, one requires wisdom and experience (and can be wrong), the other requires an algorithm. Recognizing that guidelines are guardrails, not rules may better reflect the goal of personalized medicine. 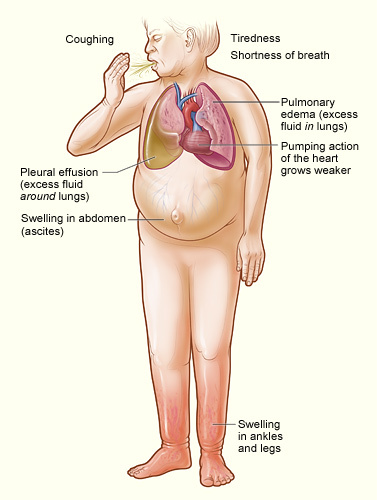 Heart failure is treated with a variety of medications and combinations, including three different agents that dilate blood vessels lowering blood pressure and volume through distinct pathways; drugs that promote urination, reducing blood volume, and drugs that slow the heart all effectively reducing the heart’s workload. An absolute contraindication means that it is should not be prescribed for this patient. It is the line that should not be crossed. Physicians, in making prescription choices exercise judgment and may lower doses or choose alternative because of relative contraindications. For example, if someone has mild kidney problems you might choose not to use a drug that further stresses the kidneys, even though there is no absolute reason not to use it. These judgments are the drivers of quality. The one exception was a group with the oldest history of use where lower dosages were only 1.8%, and it was “over” dosed 76% of the time.